Horacio Vaggione has been integrating computers to his approach to composition since the 1970s. His body of work includes electroacoustic pieces, mixed pieces, and instrumental music. Born in 1943 in Argentina, Vaggione has been residing in France since 1978. 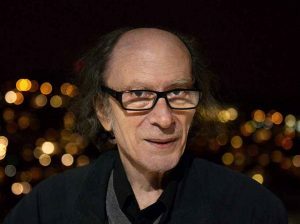 He studied piano with Ornella Ballestreri and composition at Universidad Nacional de Córdoba (Argentina, 1959-62) and in Buenos Aires (Argentina) with Juan Carlos Paz. He holds a PhD in musicology from Université Paris 8 (France, 1983), where he worked under Daniel Charles. Horacio Vaggione cofounded the Universidad Nacional de Córdoba’s Centro de música experimental (CME) in 1965. 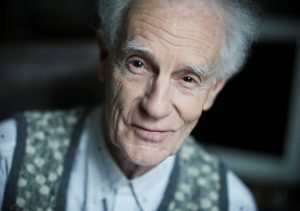 A year later, on a Fulbright fellowship, he was introduced to the computer as a music tool by Lejaren Hiller and Herbert Brün at University of Illinois (Urbana, Illinois, USA). In 1969-73, he joined Luis de Pablo in the electroacoustic music studio Alea in Madrid (Spain), after which he worked in various French studios — GRM, IRCAM, IMEB — and in several European and North-American universities. He was artist-in-residence in Berlin (Germany) in 1987-88 on a fellowship from DAAD. Horacio Vaggione won awards in numerous international competitions, including NEWCOMP (Cambridge, Massachusetts, USA, 1983); the ICMA Award (1992), the Euphonie d’or (Bourges, France, 1996), the Ton Bruynèl Award (The Netherlands, 2010), and the Giga-Hertz-Preis 2012 (Karlsruhe, Germany). Starting in 1989, Horacio Vaggione worked at the Music Department of Université Paris 8 (France) as a professor, PhD research director, and director of the Centre de recherche informatique et création musicale (CICM). He became Professor Emeritus in 2012. Born in 1932 in Tamatave, Madagascar where he lived for 14 years. Studies in Bordeaux (1946— 54). In 1958-60, François Bayle joined Pierre Schaeffer’s Groupe de Recherches Musicales in Paris, and between 1959-62 worked with Olivier Messiaen and Karlheinz Stockhausen. In 1966, Pierre Schaeffer put him in charge of the GRM which, in 1975, became an integral department of the French National Audiovisual Institute (INA). He maintained this position until 1997. In addition, it was François Bayle’s idea to create the Acousmonium (1974). He also originated the record series Collection Ina-Grm, organizes concerts and radio broadcasts still supports the development of technologically advanced musical instruments (Syter – Grm tools – Midi Formers – Acousmographe). In 1993, he founded the Acousmathèque, a repertoire of some 2000 works composed since 1948, and that also organizes symposiums and composers’ portraits. Upon leaving the Grm in 1997, he created his own studio and the record label Magison. Bayle’s œuvre is notable for its masterly craftsmanship and rhetoric, its agile discourse and its sophisticated thought. To date, he has composed 99 works.